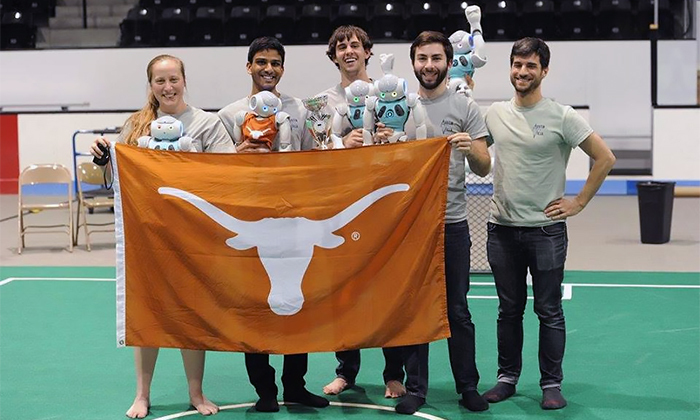 Five of the SPL team members at the 2016 RoboCup US Open, which the team won. From left to right, they are Katie Genter, Sanmit Narvekar, Josiah Hanna, Josh Kelle and Jake Menashe. 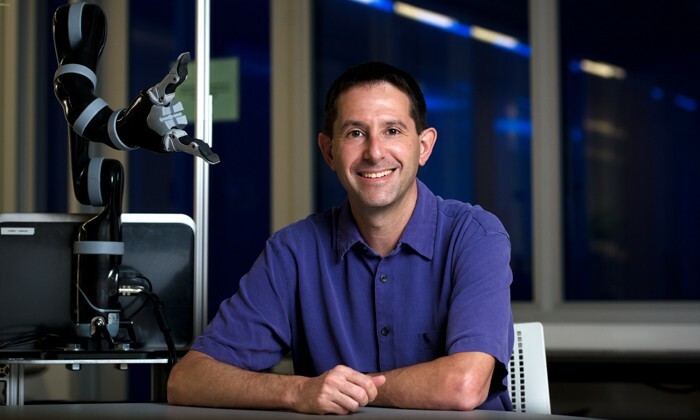 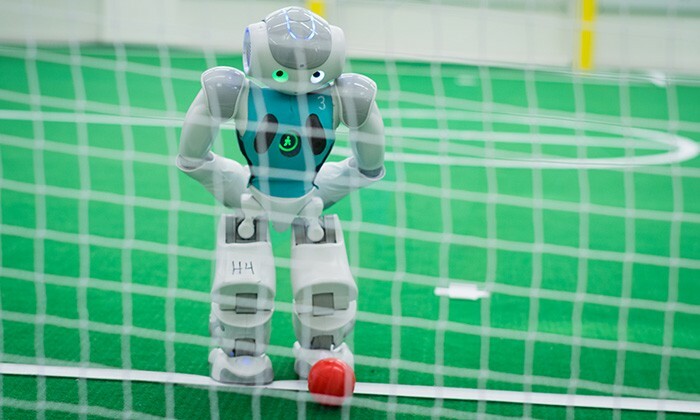 The UT Austin Villa robot soccer team, led by University of Texas at Austin computer science professor Peter Stone, returned from the 2016 RoboCup competition in Leipzig, Germany as the world champions in the 3D Simulation league and with an impressive second-place win in the Standard Platform League (SPL).